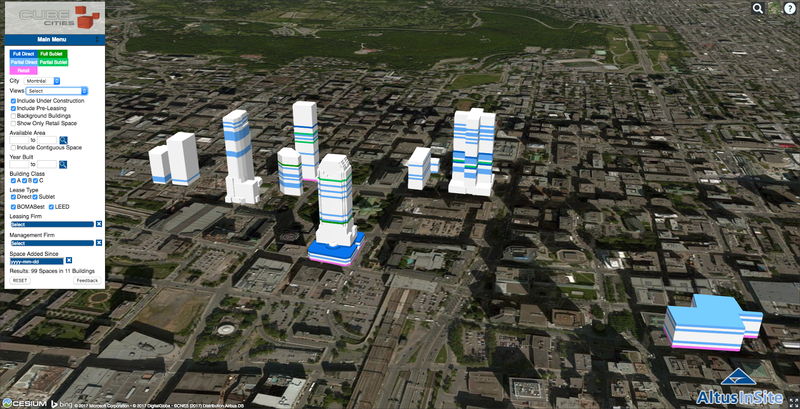 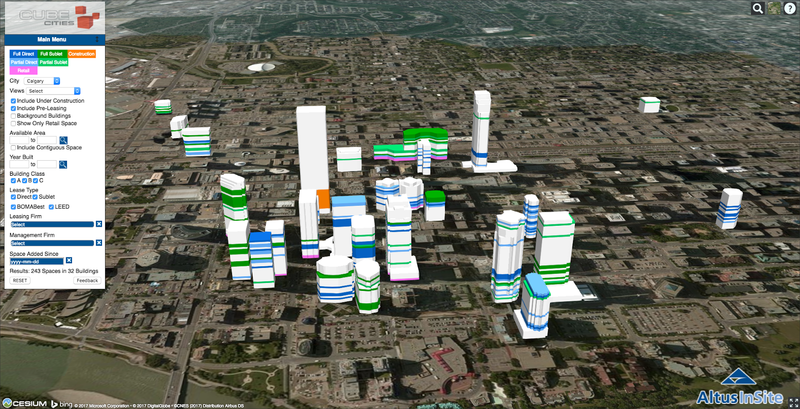 Here are several visualizations of currently available office and retail space in the largest Canadian cities. 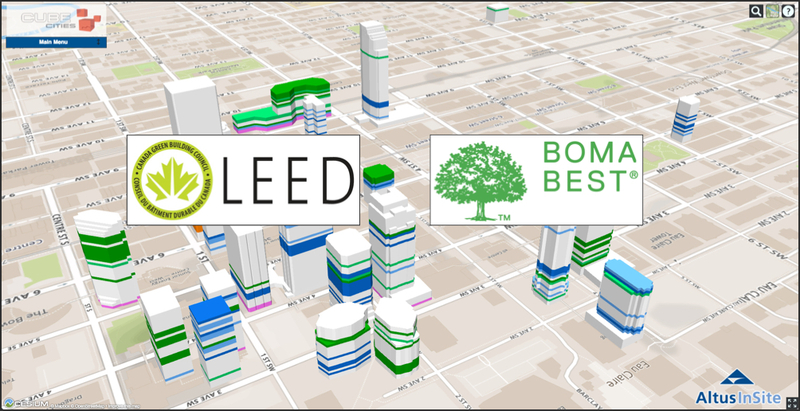 This space is within downtown buildings that meet criteria from both the Canada Green Building Council's LEED and BOMA Canada's BOMA BEST (Building Environmental Standards) designation. 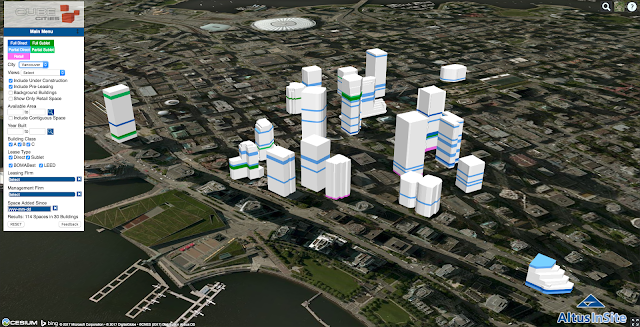 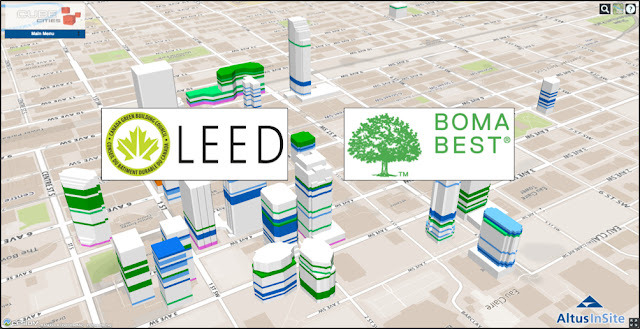 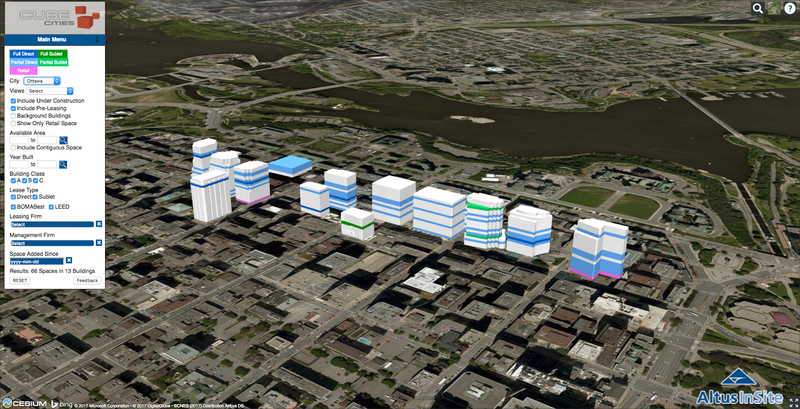 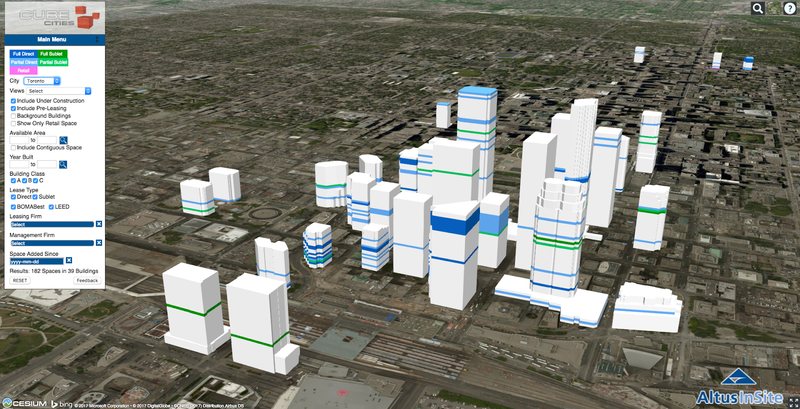 Click on any graphic to expand the image or view these cities in 3D here and explore the data with other search filters. Property data from Altus Data Solutions.